By Saturday morning I was starting to feel better, so I decided to go for a run. Unfortunately, my bad luck was still with me, and I put my back out halfway around the park. Needless to say, my weekend wasn’t fun and mainly involved sitting on the sofa with a hot water bottle up against my back. I can count on one hand how many times I’ve been ill since I switched to plant-based living almost two years ago. I’m not used to it, and I don’t like it. So, I decided it was time to look after myself a bit better. I booked myself in for a hopi candle treatment to clear out my ears and a facial massage (both of which were amazing), and I went back to basics with my food. 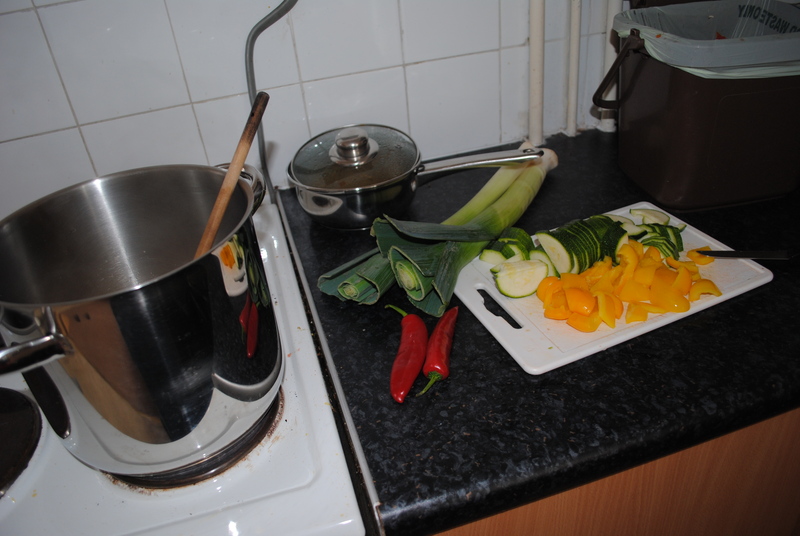 This is what my kitchen looked like whilst I was (very slowly, don’t forget I had a bad back) preparing some good, healthy vegan food. It’s kind of symbolic actually – my life is basically utter chaos (just like my kitchen), but I’m trying to fix myself from the inside out.